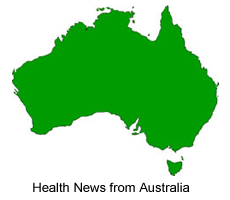 The Australian Health Protection Committee (AHPC) and the Chief Medical Officer, Professor Jim Bishop, have advised that it is appropriate to raise the pandemic response to a modified SUSTAIN response for Victoria while keeping the national level at CONTAIN for the other states and territories. The measures to be put in place in Victoria as part of a modified SUSTAIN approach will enable Victoria to more appropriately respond to the relatively higher number of cases and the sustained community transmission of the infection in Victoria. About three quarters of confirmed cases recorded so far have been in Victoria. Measures taken by governments have so far helped to delay and reduce the spread of the virus H1N1 Influenza 09 (Human Swine Influenza). While Australia has recently experienced an increase in cases as was always likely to be the case, this has occurred up to a month later than in other countries such as the UK, Canada and Japan. All delay and contain efforts have provided more time for doctors and scientists to better understand the disease so that Australia can better target its response. require people who are confirmed to have Human Swine Flu to isolate themselves for three days following the commencement of antiviral treatment. Given the high level of socialisation and contact in school settings, the AHPC has agreed that health authorities throughout Australia should continue to focus on actions in schools as they are a key vehicle for spread of the virus. Health officials continue to request that any school aged children at potential risk from Human Swine Influenza stay at home for seven days. States and Territories will apply a policy of voluntary exclusion from school for a period of seven days for all children returning from areas where there is a high prevalence of the virus circulating in the community. All States and Territories will be asked to undertake random sampling testing (known as sentinel testing) of influenza-like illness and increased sampling of cases to monitor the rate of increase of spread in the community and any changes in the dominant circulating influenza strain. News is included to inform and entertain but not to endorse any particular view or activity. Any opinions expressed in the article above are not necessarily those of IvyRose Ltd.. At least some of the material in this news item was released on or about 3rd June 2009 by the source/s indicated below. This article has been prepared using information and quotations from this and probably other sources in addition to any further comments, explanations and images credited individually.